Every SEO Professional or Internet Marketing book on the world will tell you that the POWERFUL strategy to get Page 1 Google is to get backlinks from AUTHORITY sites that already have a HIGH Page Rank (PR) on Google. Backlinks from relevant HIGH PR websites get the target website higher PR, Serp Ranking and dramatically increase its Credibility, visitor Traffic and, ultimately, the Sales. This is a guide that will lead you step by step to build links from HIGHER authority sites (only PR9, PR8, PR7 and PR6 websites) in a safe way, so the moderators won't delete your links and you will see, day by day, your ranking go to the SKY! Only DO-FOLLOW, One Way, Angela style, permanent links! 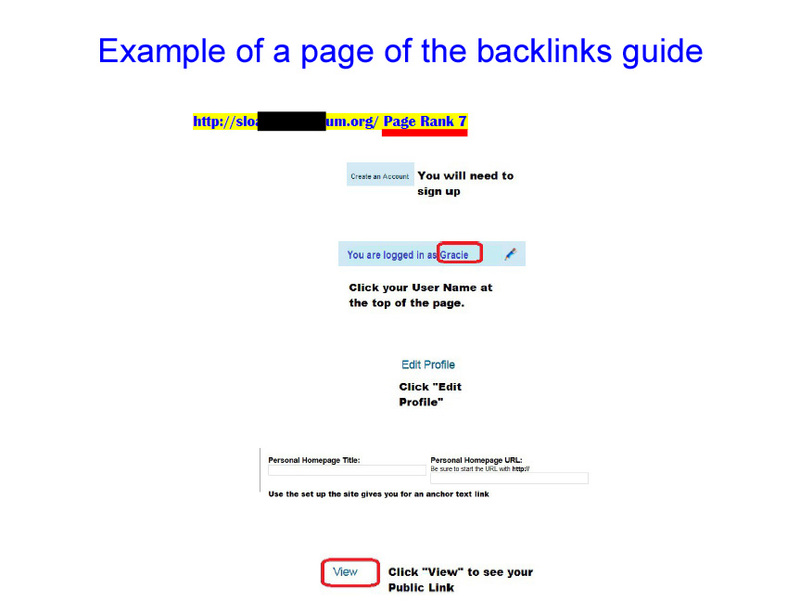 This method of build backlinks follow ALL Google Guidelines, it's an absolute "WHITEHAT" method which Google loves and the only one Google will not hit in the future updates. Your campaign will look absolutely natural. 100% PENGUIN and PANDA safe, also Adsense safe. ALL the backlinks are DO-FOLLOW, and will be easily crawled ed instantly indexed by search engines due to the very high PR of these sites. TOTAL n. 277 HI PR websites urls where you can simply add backlinks to your site, as many as you want. You can build as many campaign as you need, for all the websites you want, or also create and sell GIGs here about building backlinks services! For best results, create around 10 links/day, and after 1 month you will be on one of the first 3 positions of Google Search Engine, guaranteed 100%! Take a look of this report of one of my last customer, it can be the future report of your website. 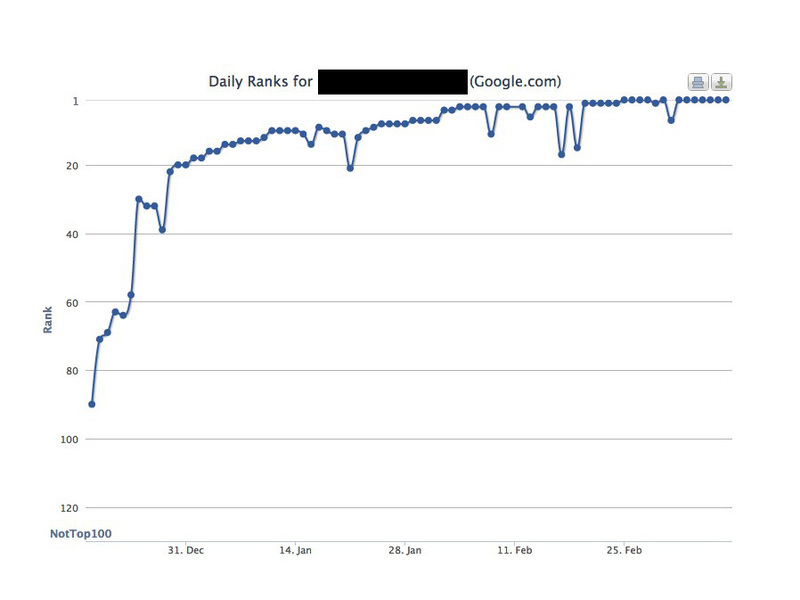 After 1 months his site was on the end of the first Google page, and after 45 days it reached the 1st position! (Keyword medium competitive). Ps: check also my EXTRAS! 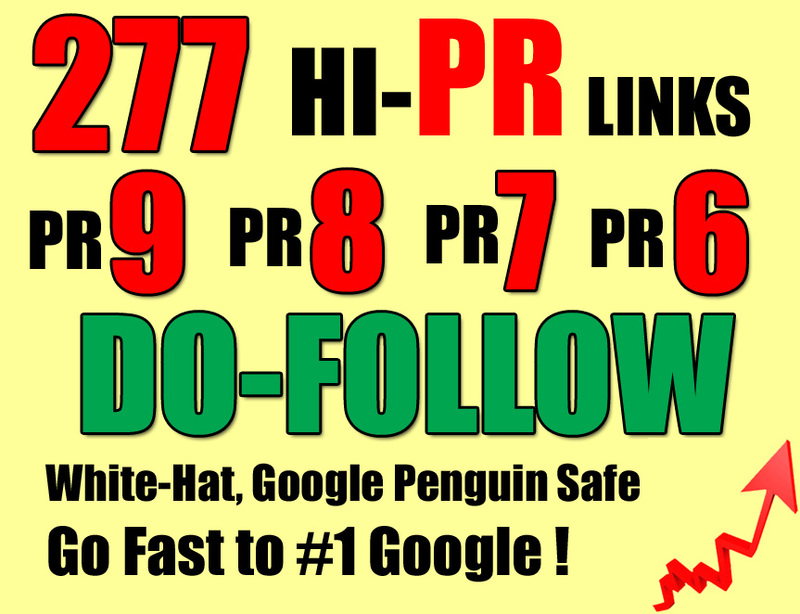 Get You 277 PR9 to PR6 Websites Where You Can Easily Leave Your BACKLINKS is ranked 5 out of 5. Based on 28 user reviews.